Atari 2600 - News - Page 2 - PDRoms – Homebrew 4 you - Almost daily console and handheld news! ]It was bugging the heck out of me , so I added an actual title screen. NOW I’m done…. Chris Read aka atari2600land works on a second game for the Channel F called Killer Heads of Lettuce. It’s sort of like a cross between Asteroids and Space Jockey. In the game, you shoot heads of lettuce in your spaceship. You can move the spaceship up and down, and I made a variable for lettuce speed and it seems to be working okay now. It’s set to 1, but if I set it to 2, it goes faster. 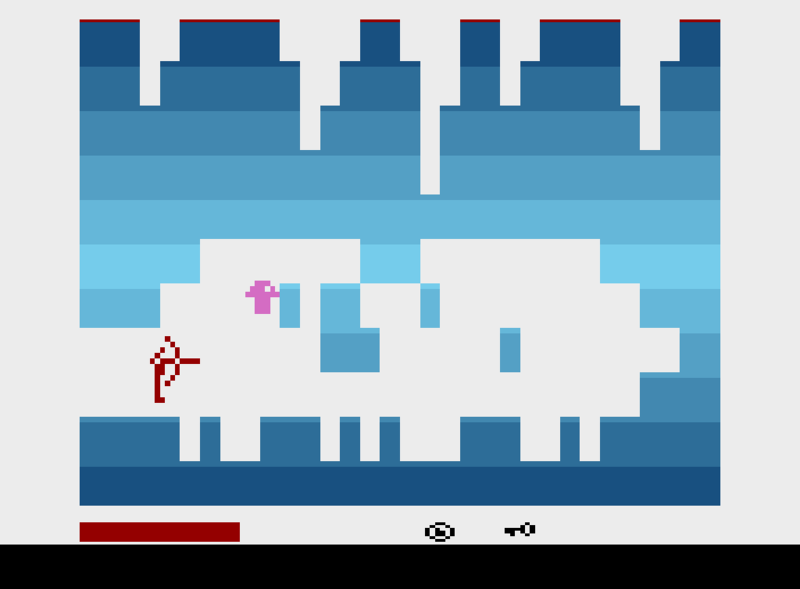 The object of the game is to keep the lettuce from reaching the far right of the screen. I’m still working on this game. You can shoot with the fire button, but the missiles can’t shoot the lettuce because I haven’t gotten that far yet. So, what do you think? Dungeon II: Solstice is an Atari 2600 game by s0c7. Your goal is to penetrate the Temple of the Crow, retrieve the sacred mistletoe and return it to the Grove of Megaliths. This is a turn-based game. Each move requires you to return the joystick to the home (unmoved) position before you can make a new move. Release candidate 7 in the first post. One minor bug fix and a minor color tweak to the PAL60 version. In Plague you are the famous and misunderstood plague doctor of the middle ages, collecting herbs and at the end, duel a battle with Death itself. Since the initial release earlier this month, this is the third update so far. Jump… run… and protect! Jinroh updated Carrot Kingdom for the Atari 2600.